Dr Kathy Martin was elected by American Ornithological Society (AOS) members to serve from 2018 to 2020 as the second president of the new AOS, formed in 2016 following the merger of the American Ornithologists’ Union and the Cooper Ornithological Society. 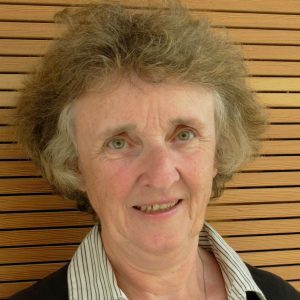 Dr Martin is recognized for her significant contributions to ornithology in mountain and temperate forest ecosystems, for her global perspectives and successful international collaborations, and for her many years of service to the Society. Dr Martin, who served as president-elect of the AOS since 2016, brings a wealth of leadership experience to the largest scientific society serving ornithology with an international membership of 2,800 that is on the rise. Dr Martin is well positioned to lead the AOS as it undertakes new initiatives to prepare future generations of scientists and conservation leaders, and to address the needs of students and professionals in advancing our scientific knowledge of birds across the globe. The American Ornithological Society is the largest international society devoted to advancing the scientific understanding of birds, enriching ornithology as a profession, and promoting a rigorous scientific basis for the conservation of birds. 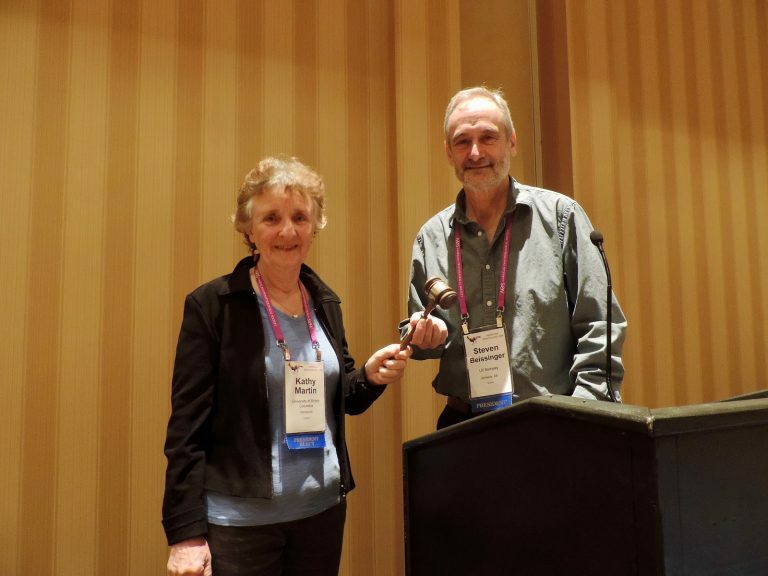 Kathy Martin, incoming AOS president 2018-2020, receives the gavel from Steven Beissinger, immediate past-president of the Society. Photo by Jordan Rutter.